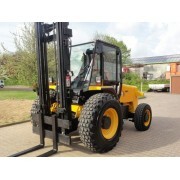 Rough Terrain Forklift JCB 926-4 Year of manufacture: 2008 Operating hours: 2.785 h. Engine: JCB Diesel TC-63 (63 kW / 74 PS) Euro3/Tier3 Chassis: 4 x 4 Wheelbase: 2.130 mm Tyres front: 16.5/85-24 = 60 % .. 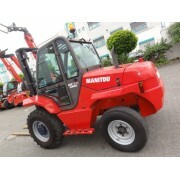 Rough Terrain Forklift: Manitou M50-4 Year of manufacture: 2017- demo! 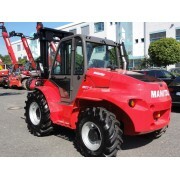 Operating hours: 237 h. Engine: Perkins 854F-E34T (55,5 kW / 75 PS) Euro3B/Tier4 Chassis: 4 x 4 Wheelbase: 2.120 mm Tyres f..
Semi industrial IC Forklift Manitou MSI 30T Year of manufacture: 2017 – demo! 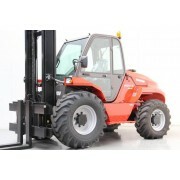 Operating hours: 289 h. Engine: Kubota V2403 M T E3B (53 kW / 75 PS) Euro3B/Tier4 Chassis: 2 x 2 Wheelbase: 1.800 mm Tyres fro..
Вилочный погрузчик повышенной проходимости Manitou M30-2 Gelaendestapler / Rough Terrain Forklift Manitou M30-2 Год выпуска / Baujahr / Year of manufacture: 2012 Отработано моточасов / Betriebsstunden / Operating hours: 1.270 h. Двигатель .. 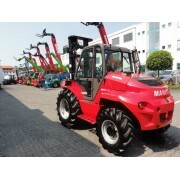 Rough Terrain Forklift: Manitou M30-4 Year of manufacture: 2016 Operating hours: 357 h. Engine: Perkins 854F-E34T (55,5 kW / 75 PS) Euro3B/Tier4 Chassis: 4 x 4 Wheelbase: 1.990 mm Tyres front: 15,5 x 80 x 24 Luft = 97% Tyres rear: 10.5 x -18 Luft..
Вилочный погрузчик / Gelaendestapler / Rough Terrain Forklift Manitou M30-4 Год выпуска / Baujahr / Year of manufacture: 2016 - demo! 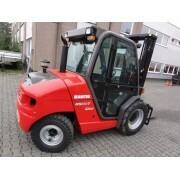 Отработано моточасов / Betriebsstunden / Operating hours: 397 h. Двигатель / Motor / Engi.. 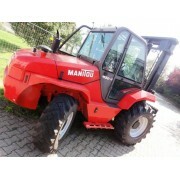 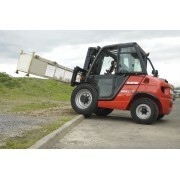 Rough Terrain Forklift: Manitou M50-4 Year of manufacture: 2016- demo! 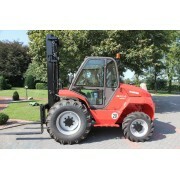 Operating hours: 37 h. Engine: Perkins 854F-E34T (55,5 kW / 75 PS) Euro3B/Tier4 Chassis: 4 x 4 Wheelbase: 2.120 mm Tyres front: AS 18-22.5 163A8 MPT-06 TL Tyres rear: AS 340/..
Вилочный погрузчик Manitou MSI 30T Semi Industrie Stapler / Semi industrial IC Forklift Manitou MSI 30T Год выпуска / Baujahr / Year of manufacture: 2013 Отработано моточасов / Betriebsstunden / Operating hours: 2.837 h. Двигатель&..